Clinical neuroscience has made tremendous advances over the last century. Neurology as a discipline is still considered challenging and at times risky due to the natural history and progressive course of few of the neurological diseases. Encouragingly, the patient and their caregivers are now increasingly willing to be actively involved in making decisions. The patients' relationship with the doctor is a reflection of the society. A society that is orienting itself toward “rating” and “feedback” has made this doctor–patient relationship, a consumer–service provider relationship. This perhaps is due to commercialization of health that usually accompanies globalization. Moreover, a rapid influx of information from potential erroneous sources such as the Internet has also made patient and caregivers not being hesitant to taking legal course in the case of adverse events during treatment or simply because of dissatisfaction. The purpose of the legal process initiated by patients with neurological ailments is more often to compensate for the income lost, physical and psychological anguish that accompanies disease and its treatment, and to fund treatment or rehabilitation requirements. However, it is not clearly established if monetary benefits acquired lead to better opportunities for recovery of the patient. The consumer protection act and commercialization of medical services may well have an adverse effect on the doctor and patient relationship. Hence, there is a great need for all medical professionals to mutually complement and update each other. This review examines legal (litigation) processes with special interest on medicolegal system in patients with neurological ailments and the challenges faced by the neurologist during day-to-day clinical practice. A basic knowledge of how judicial forums deal with the cases relating to medical negligence is of absolute necessity for doctors. The need for such knowledge is more now than before in light of higher premium being placed by the Indian forums on the value of human life and suffering, and perhaps rightly so. Judicial forums, while seeking to identify delinquents and delinquency in the cases of medical negligence, actually aim at striking a careful balance between the autonomy of a doctor to make judgments and the rights of a patient to be dealt with fairly. In the process of adjudication, the judicial forums tend to give sufficient leeway to doctors and expressly recognize the complexity of the human body, inexactness of medical science, the inherent subjectivity of the process, genuine scope for error of judgment, and the importance of the autonomy of the doctors. The law does not prescribe the limits of high standards that can be adopted but only the minimum standard below which the patients cannot be dealt with. Judicial forums have also signaled an increased need of the doctors to engage with the patients during treatment, especially when the line of treatment is contested, has serious side effects and alternative treatments exist. The medical profession is considered to be one of the noblest professions in the world. The practice of medicine is capable of rendering noble service to humanity provided due care, sincerity, efficiency, and professional skill is observed by the doctors. However, today, the patient–doctor relationship has almost diminished its fiduciary character and has become more formal and structured. Doctors are no longer regarded as infallible and beyond questioning. Corporatization of health care has made it like any other business, and the medical profession is increasingly being guided by the profit motive rather than that of service. On the other hand, a well-publicized malpractice case can ruin the doctor's career and practice. The law, like medicine, is an inexact science. One cannot predict with certainty an outcome of cases many a time. It depends on the particular facts and circumstances of the case, and also the personal notions of the judge concerned who is hearing the case. The axiom “you learn from your mistakes” is too little honored in healthcare. The best way to handle medico-legal issues is by preventing them, and this article tries to enumerate the preventive measures in safeguarding the doctor against negligence suit. In a recent judgment on medical negligence, the Supreme Court awarded compensation amounting to Rs. 11 crore to a victim, which was to be paid by the doctors and the private hospital deemed responsible for the wrongful death of a patient. This landmark decision was by far the largest compensation award in the history of Indian medical negligence litigation. Hence, the process of calculating compensation for medical negligence has received great attention and debate, largely due to the impact that it is going to have on the practice of medicine within the country, in the near future. However, the method of calculation of compensation is unpredictable as it varies hugely across different cases, courts and tribunals resulting, in a loss of faith in the system, protracted litigation, and frequent appeals. With over 80% of India's healthcare being provided by the private sector, predictability and uniformity in the regulation of compensation in medical negligence would benefit the victims and the doctors concerned. A basic knowledge of how medical negligence compensation is calculated and adjudicated in the judicial courts of India will aid a doctor in planning his/her professional indemnity insurance, as well as in practicing his/her profession without undue worry about facing litigation for alleged medical negligence. This article addresses the merits and demerits of large compensation awards, and also discusses whether the system is broken, needs a quick fix, or a massive overhaul. India ratified the United Nations Convention on the Rights of Persons with Disabilities (UNCRPD) in 2007. This is a welcome step toward realizing the rights of the persons with disability. The UNCRPD proclaims that disability results from interaction of impairments with attitudinal and environmental barriers, which hinders full and active participation in society on an equal basis with others. Further, the convention also mandates the signatory governments to make suitable changes in the existing laws of the country, to identify and eliminate obstacles and barriers, and to comply with the terms of the UNCRPD in order to protect the rights of the person with disabilities, hence the amendments of the national laws. Hence, the Government of India drafted the Right of Persons with Disabilities Bill (RPWD Bill), 2014. It is evident that neurological disorders are emerging as priority health problems worldwide. They not only contribute to mortality but also contribute to huge morbidity. Further, shortage of neurologists, huge treatment gap, and stigma add to the burden. The situation becomes worse with regard to providing quality care, comprehensive rehabilitation, and social welfare measures to persons with neurological disability. There is no doubt that persons with neurological disability do not get adequate representation, stigmatized and discriminated across the civil societies, which hinders full and active participation in society. Hence, this article is a critique of the RPWD Bill, 2014 from the perspective of persons with neurological and neurosurgical disability. 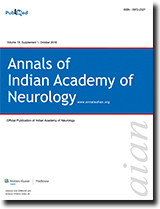 Further, this article also discusses challenges in quantifying and certifying disability in neurological disability. Capacity to make one's own decisions is fundamental to the autonomy of the individual. Capacity is a functional assessment made by a clinician to determine if a patient is capable of making a specific decision. Competency is a global assessment and legal determination made by a judge in court. Capacity evaluation for a patient with dementia is used to determine whether the patient is capable of giving informed consent, participate in research, manage their finances, live independently, make a will, and have ability to drive. Patients with dementia cannot be assumed to have impaired capacity. Even a patient with moderate or severe dementia, with obviously impaired capacity may still be able to indicate a choice and show some understanding. Four key components of decision-making in a capacity evaluation include understanding, communicating a choice, appreciation, and reasoning. 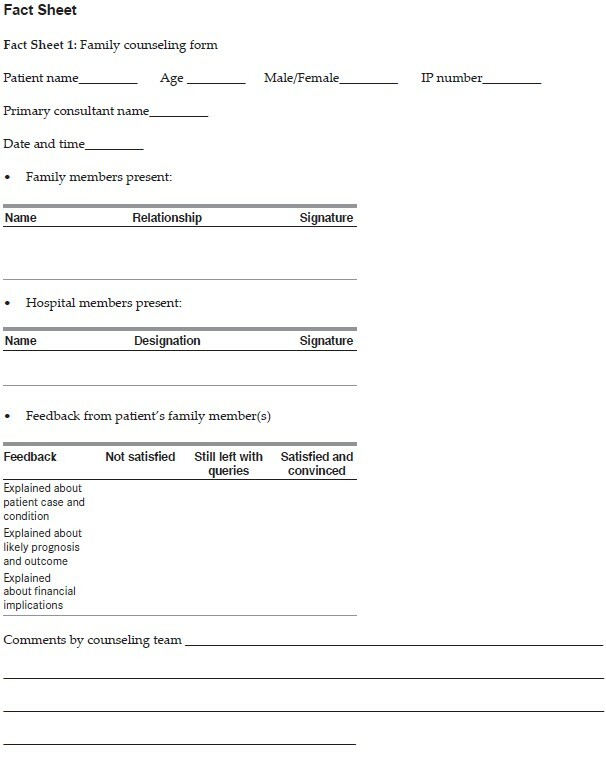 Assessment of capacity requires a direct interview with the patient using open-ended questions and may include both informal and formal approaches depending on the situation and the context. A baseline cognitive evaluation with a simple test to assess executive function is often useful in capacity evaluation. All capacity evaluations are situation specific, relating to the particular decision under consideration, and are not global in scope. The clinician needs to spend adequate time with the patient and the family allaying their anxieties and also consider the sociocultural context. The area of capacity has considerable overlap with law and the clinician treating patients with dementia should understand the complexities of assessment and the implications of impaired capacity. It is also essential that the clinician be well informed and keep meticulous records. It is crucial to strike a balance between respecting the patient autonomy and acting in his/her best interest. End-of-life care is an integral part of neurology practice, and neuropalliative medicine is an emerging neurology subspeciality. This begins with serious illness communication as a protocol-based process that depends on an evaluation of patient autonomy and accurate prognostication. Communication needs vary between chronic, life-limiting neurologic illnesses and acute brain injury. In an ideal situation, the patient's wishes are spelled out in advance care plans and living wills, and surrogates have only limited choices for implementation. Palliative care prepares for decline and death as an expected outcome and focuses on improving the quality of life for both the patients and their caregivers. In the Intensive Care Unit, this may require clarity on withholding and withdrawal of treatment. In all locations of care, the emphasis is on symptom control. Neurologists are the quintessential physicians, and our “dharma” is best served by empathetically bringing our technical knowledge and communication skills into easing this final transition for our patients and their families to the best of our ability.